It is important that you run the 1099 Reconciliation report for each brokerage account data file before combining files in TradeLog. Make sure to enter the 1099-B Information requested properly as this will affect reconciliation results. Brokerage firms don't provide enough tax information to calculate different types of trader tax returns. The IRS requires that brokerage firms provide their clients with an IRS Form 1099-B which offers information to assist with tax reporting. Brokerage firms are known to make errors on their statements, which affects the data on your Form 1099-B. It is essential for traders to keep their own daily trading records, and check these against their broker statements. The IRS continues to acknowledge that taxpayers are responsible for accurate reporting, despite what your broker provides. TradeLog's 1099-B reconciliation report attempts to reconcile the reported Gross Proceeds with TradeLog reported sales. Typically the sale amount reported by TradeLog should not be less than your broker reports. TradeLog reports cost basis on Form 8949, Parts 1 and 2, checkboxes A, B, C, D, E, and F.
It is almost impossible for TradeLog reported cost basis to match what your broker reports. This is because your broker does not have to report all cost basis, and they report adjustments for wash sale rules differently than is required for traders. TradeLog generates a statement explaining Form 8949 differences and adjustments with 1099-B, which you may choose to file with your IRS reporting. Because 1099-B reporting is varied by broker and new problems are being found each year, we have setup a special 1099-B Problems page. Please review that page to understand these problems and for help in reconciling with your brokerage reporting. If you elected section 475 to use mark to market accounting for your account(s), be aware that 1099-B reconciliation may not be possible. The rules for broker reporting of 1099-B do not require that they account for MTM adjustments at year end. In addition, your broker may include wash sale adjustments and other adjustments that are not required for MTM accounts. If you had short sales the broker will report these on the 1099-B in the year in which they are closed, whereas you may have to report as closed at year-end if held open to the next tax year. These and other situations may make reconciliation difficult. For this reason, some MTM users of TradeLog do not spend too much time trying to reconcile their 1099-B proceeds. Brokers are not required to apply Section 1259 constructive sale rules when reporting short sales. Therefore, they may report some short sales as closed in a tax year, whereas TradeLog reports that sale in a different tax year. TradeLog attempts to account for these situations in the 1099 Reconciliation report, however some more unique situations may not be accounted for automatically. Some brokers erroneously report wash sales involving short sales but adjusting the sale proceeds instead of the cost basis for the trade that triggered the wash sale. In such situations, the 1099-B proceeds will likely never reconcile with TradeLog. See our 1099-B Problems page for more details. 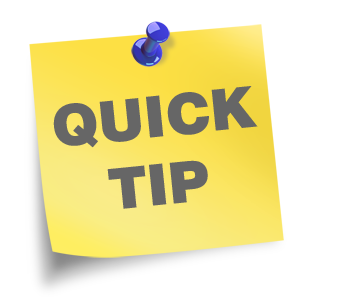 Most brokers do not report option sales on the broker 1099, but may report them separately. The TradeLog 1099 Reconciliation report adjusts for option sales. You may have imported a trade history report that is incomplete or is missing trades. Many times manual adjustment entries made throughout the year will cause inaccurate or duplicate trade records in your broker history report which was imported into TradeLog. Check your trade history report carefully - are any trades missing? Does your report show any corrective entries (cancellations, etc.) which could result in duplicate trade records? If it does, check the imported trades in your TradeLog data file. Enter any missing trades manually, and delete any duplicate trades. Duplicate trade records can be located by clicking Find, Duplicate Trades. A cash out merger or cash merger can appear on broker 1099's. This occurs when a company provides a cash distribution through a corporate action instead of shares. As with other corporate actions, the details of this merger are not listed in the trade history nor available for import into our software. There has to be a manual adjustment, or an additional record recorded to properly account for the company's actions. There may be other adjustments which occured in your account that may be reported as proceeds. These additional adjustments may require that you make corresponding adjustments to your TradeLog data. Some adjustments simply are not tracked in TradeLog and may require separate accounting on Form 8949 or other appropriate tax reporting. Your 1099-B has mis-reported your sales or the total sales figure is simply wrong - this does happen! Check your broker report carefully against your monthly statements. The Grid Filter Dialog makes it easy to find all your stock sales for the current tax year so you can compare each sale on your 1099 to your sales in TradeLog. If you see a discrepancy, contact your broker for assistance in amending their 1099. If you are having difficulty reconciling your broker 1099 with your data file, we recommend that you start from the beginning and import your monthly trade history reports. While users can import yearly statements from certain supported brokers, monthly imports can help a user identify and edit an errant transaction more efficiently. Create a new data file. Import your trade history report for the first month (for example, January). Verify your import: Click the Open Trades toolbar button to launch the Open Positions Window and view a list of open positions as of the last date of import. Compare the Open Positions Window data with your trade history report. If the lists match, your import is accurate. If you have identified a problem, correct the errant transaction(s). Move on to the next month. Import the trade history report for the following month (for example, February). We have found that this monthly approach to importing can break down even the biggest problem into much smaller pieces, and therefore is usually much easier to find and fix than when trying to deal with a whole year's worth of data. This is one situation in which your monthly statements can be invaluable.